After the developments such as releasing national policy on artificial intelligence and opening up tinkering tanks to promote new tech in education sector, NITI Aayog has now announced a partnership with Google to develop AI-based solutions to accelerate the future of ML and AI in India. The tech giant partnered with NITI Aayog to work on a range of initiatives including training and incubating Indian startups focused on AI. 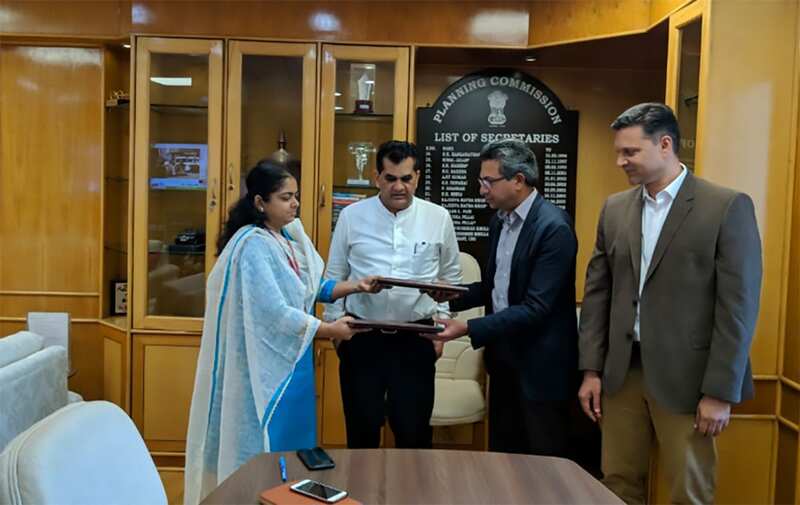 The partnership which focuses on improving the overall economic productivity of the nation, came into effect via a Statement of Intent (SoI) signed by Anna Roy, Advisor, NITI Aayog and Rajan Anandan, Vice President, India and South East Asia, Google. Commenting on the partnership Amitabh Kant, chief executive officer at NITI Aayog said that NITI’s partnership with Google will unlock massive training initiatives while supporting startups and encouraging AI research through PhD scholarships, all of which contributes to larger idea of a technology-empowered New India. “India is embracing future technologies such as machine learning and AI to augment its capacity in healthcare, improve outcomes in education, develop innovative governance systems for our citizens and improve overall economic productivity of the nation,” he added. Google has in the past introduced initiatives such as conducting a four-day mentorship bootcamp in India for startups focused on AI and ML, launched AI learning platform ‘Learn with Google AI’ and ‘Machine Learning Crash Course’, a free course for ML developers across the globe, among others. As a part of the deal, Google will train and incubate Indian AI startups in an accelerator program, mentored and coached by Google and its affiliates. It also aims at organising hackathons in AI and ML on focus areas such as agriculture, education, healthcare, financial inclusion, transportation and more.